One of the many perks of home exchange is the aspect of living like a native in a foreign country. In most cases, the neighbors are as interested in us as we are in them. In Vermont we were looked at as those crazy people who left a Florida winter for two months in the frozen tundra of the North country. While in Germany we were lucky to spend time with our hosts and were given a lovely tour of Zirndorf as well as a taste of authentic German food. 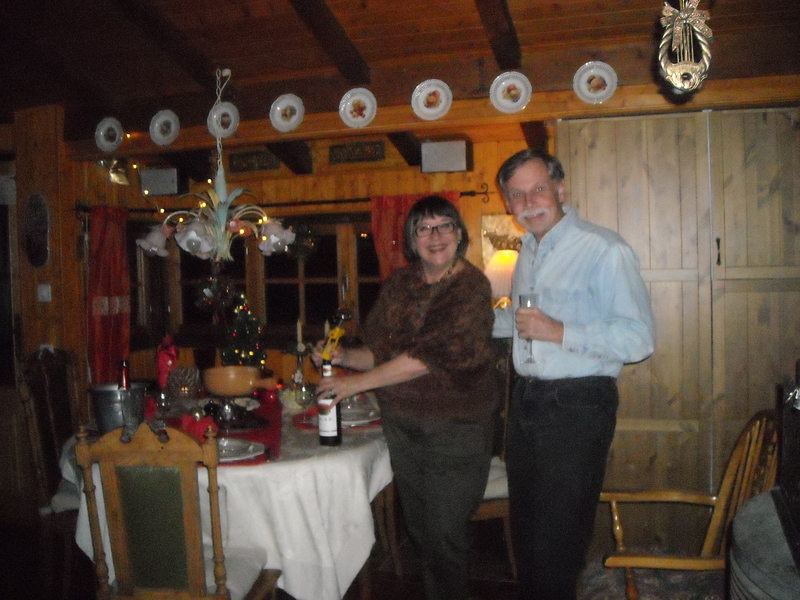 We were not disappointed in Switzerland, as we met many residents of La Chevrerie and treated to their hospitality, both gastronomic and geographic. Our first neighborly encounter was with Helena, whose chalet sat just above ours. This generous lady, originally from Finland, took us under her wing, fed us and treated us to a wonderful morning in a French market. Our first meal with her, after a selection of wine and appetizers, was a fondue, or raclette, which brought back memories of the 70’s when no self-respecting cook was without a fondue pot full of gruyere mixed with white wine…one of the reasons we are on cholesterol meds now to clear out the arteries! The flavors were delightful and the conversation was amazing. 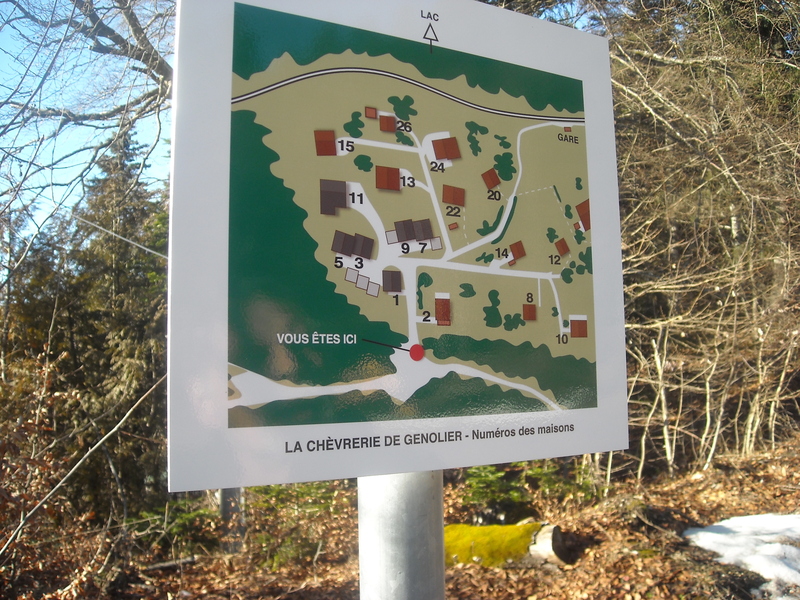 We learned that our hostess has lived in La Chevrerie for several years, following the death of her husband. Her intent to downsize landed her in, what is lovingly referred to by friends, the Hobbit House. 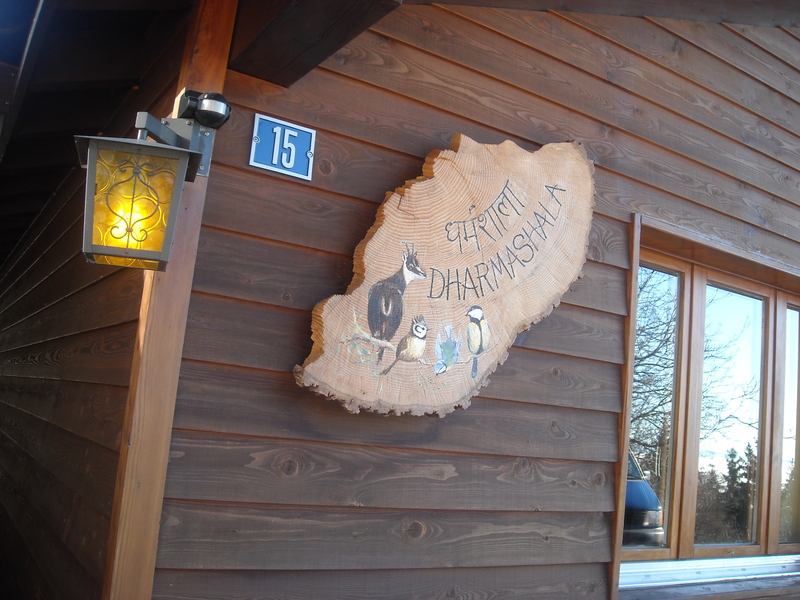 Walking into Helena’s home we immediately felt swept away into a warm, glowing ambience that was a welcome relief from the snowy walk up the hill from our chalet. We heard stories of Helena’s past which included a road trip, in the 70’s, with two friends from Finland to Bangladesh. Just imagine the countries through which they traveled, which are now impassable without the threat of death. We also learned of a trip with her elderly aunt which led to her driving a taxi through the streets of Jerusalem. It would take a book to explain the details and tell the many stories this lovely woman has to tell. We feel so lucky to have met her and the others to whom we were introduced, who made an impact on us as well. 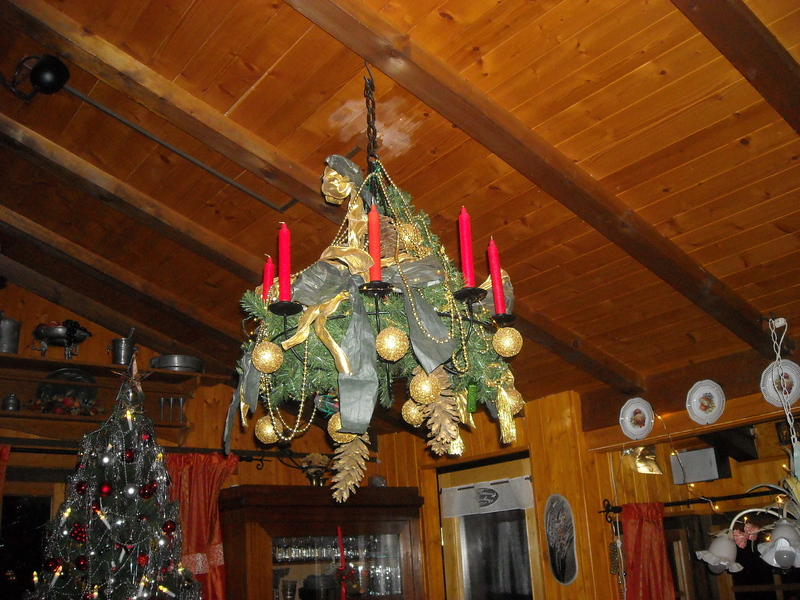 Christmas Eve is when the festivities of the holiday are held and our new BFF Helena invited us to join her and a family who were her neighbors in Arzier, before she moved to La Chevrerie. 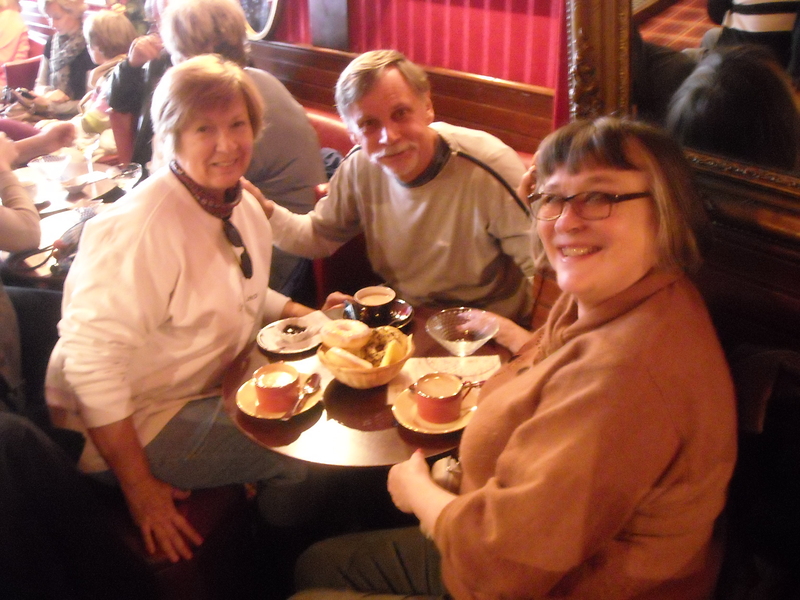 We met Patrick and Anne, along with their 16 year old son, Philip, who is Helena’s godson. What a lucky guy to have a godmother like Helena. One summer the two of them traveled to Finland for several weeks to enlighten Philip to his godmother’s heritage. The affection between the two was obvious as Philip helped with the traditional meal and jumped in to take on the part of St. Nick. We finally met a native Swiss in Patrick, the soft-spoken gentleman who carved the holiday ham and told stories of his life in Arzier and Geneva. His beautiful wife Anne, originally from Argentina, raised in the U.K., was inquisitive as to our interest in Europe and offered details about their country’s politics and society. It was the first time Charlie and I had been away from home on Christmas but we felt part of this family and enjoyed the warmth of their hospitality. 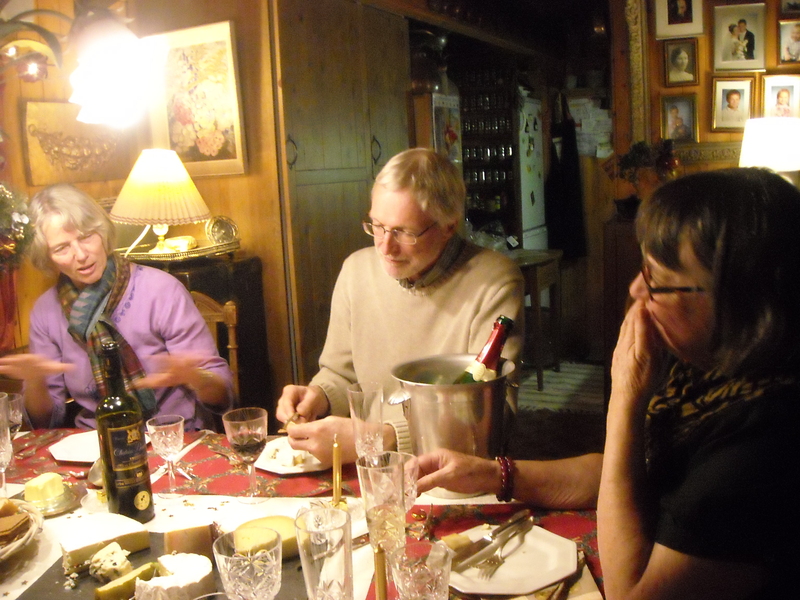 A couple of week’s later we missed Helena’s birthday celebration but were invited to a meal of “leftovers” which turned out to be a Swiss smorgasbord of appetizers, wine, salads, more wine, and a full array of cheeses served with, you guessed it, more wine. Another couple from the neighborhood were invited, this time an American, Duane, and his British wife, Joy. We found out that Duane is originally from Iowa but his travels as a civil engineer working to develop water systems in third world countries, has kept him traveling the world for decades. He met Joy in Tanzania where, along with her time in Nepal, she has established Mama Masai, a group of 200 women who create beaded items to sell through Fair Trade organizations. Needless to say, later when we realized we had complained about not having a clothes dryer, we felt like typical “ugly Americans” when comparing our “plight” to that of the abject poverty Joy and Duane have witnessed in their life work. Later, during a tour of their house, I was relieved to see that Joy does indeed enjoy modern amenities and owns a clothes-dryer! The day before our departure, Joy took us on a hike which demonstrated her skill at attacking vertical stretches which left me breathless. Our only regret was that we didn’t start the walk earlier in the day as we had to turn back before we reached our destination of architectural ruins in the woods ahead. The sun was dropping below the mountains and we didn’t want to get caught in the dark with no flashlight! So as we prepared to leave this little village overlooking Lake Geneva, we go with the knowledge that we made new friends, who opened our eyes to other parts of the world and renewed our realization that we want to further experience life outside the bubble of the U.S. Some societal and political issues which bog us down here mean nothing to those experiencing global issues happening around the world. We can all learn from each other and it’s my goal to keep learning as long as I’m able. Au revoir, sweet La Chevrerie. 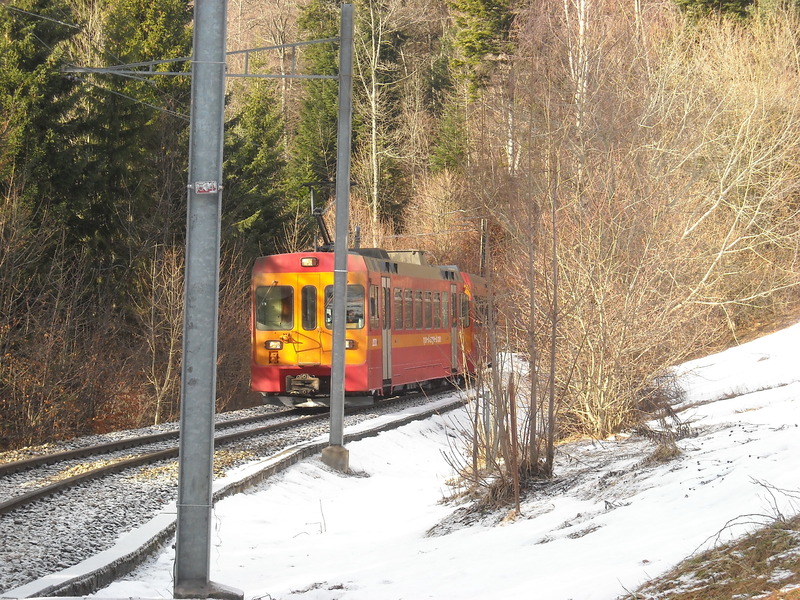 This entry was posted in Uncategorized and tagged Britain, Bulgaria, Cergue, chalet, Chevrerie, Europe, Finland, France, Geneva, Jura, Lake, Monteret, Nyon, Spain, Switzerland, train, travel. Bookmark the permalink.